Compared to what? Two bodies come out for m43 that are heavier/expensive so now all m43 is heavy and expensive? There is just so much wrong with this "statement". 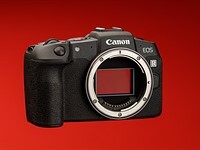 The biggest problem with APS-C, be it from Canon/Nikon or Sony is the staggering lack of native glass. Sure a GH5/EM1 is heavier than a Rebel if you want to cherry pick. APS-C is the problem child. Why bother with it when you are forced to use FF glass? Just shoot with a same size FF body.